A few weeks ago, I had the pleasure of going through the event, Blackest Night. Yesterday, I sat through the whole limited series that was Green Lantern: Rebirth . To be honest, before the Blackest Night , I had the faintest idea of who the Green Lantern was. I'm not a big fan of superheroes, see. But the whole philosophy behind the Corps and all that, now I found those fascinating. It's interesting to look into all those constructs and see how the themes are repeated in other epic stories. So Rebirth, owing to the fact that it included a recap of who Hal Jordan was, and how he had become different and then how he sacrificed himself for greater good, gave me a better idea of who the Green Lantern was before Parallax, and The Spectre. I had expected to see a glimpse of what relationship Hal Jordan had with The Flash before Blackest Night but this was not evident in Rebirth. Instead, what shone through was the conflict between Green Lantern and Batman. More important though, was the bond between the Green Lanterns, specifically Guy Gardner and John Stewart. Kyle Rayner played the vital role of unearthing the truth, and bringing Hal's body back to Earth. To my opinion, Rebirth was not so much as the story of Hal Jordan's escape from the clutches of death. It is, just as the name implies, the rebirth of a legend. This is DC Comics' finest attempt at restoring Hal Jordan's old glory. I can see how this would have been a hit for old GL fans, especially when you consider how Batman was so unforgiving. In brightest day, in blackest night . No evil shall escape my sight. Mitch Albom has a number of best-selling works, known to provoke introspection, and give inspiration. For One More Day is one of those. "When someone is in your heart, they're never truly gone. They can come back to you, even at unlikely times." I find this true. And I believe this to be true. I believe that Chick Benetto did spend one more day with his mom. One day to answer all his questions (without him even asking), one day to give him clarity - to show him where he should go. I've never gone through anything similar, but we were witness to my grandmother going through it. Oh, she was very much alive then, but she was seeing spirits who were waiting to take her to the next life. It gives me comfort to know that in the end, Lola was not alone in her journey to her God. And it was even more comforting that she may not have had to go with the angel of death, like Nicolas Cage was in City of Angels, but with family and friends who have gone before her. Her kindred. It comforts me, I admit, to believe that when my time comes, she will be there guiding me through too. I don't know what the author meant by writing Chick's story. Is it, as many think, to remind us not to waste our time? Was it to teach kids to appreciate and get to know their parents' stories? Yeah, I get all that, but what was more striking to me is this: the heartstrings that transcend life and death. I'd like to believe that I'm the kind of person who would not wish to spend one more day with anyone, because I give of myself so freely to the people that I love, while I can. A lesson I learned when we lost my Aunt. I am not wishing for the impossible, for her to come back to life just so we can show her how much we love her. But I am looking forward to that one more day with her because I know it will come. She'll be there with my grandma when my time comes. I guess this is what's most important. After all, no man is an island. One of my favorite authors is Maeve Binchy, she's Irish and she writes about women and the many ways we can be empowered. 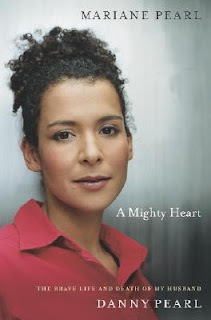 Her stories have so many lessons on friendship, faly, and community. 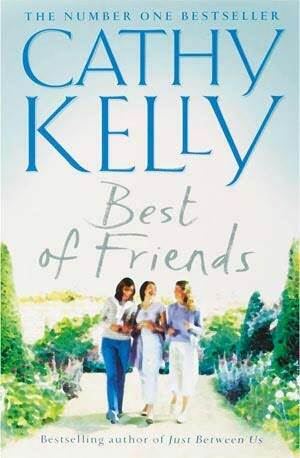 I think I've found another Irish author to watch out for: Cathy Kelly. It's about three women who have learned so much from their friend who died quite suddenly. They weren't all that good friends in the beginning, but because of their common loss, and by virtue of them living in the same quaint community, they came together and honored their friend. They each went through "moments" and it was wonderful that they had each other to pull strength from. One good lesson I picked up from their stories is that we should never take for granted the happiness that we have today. We have the tendency to overlook what we have, and wonder how it would be if things would be a little different. Then, when everything's taken from us, or things change but not in the direction we would have preferred it to, we'd be at such a loss. Abby Barton is my favorite character of the lot. She was a housewife who built a small business. She got attention for it, and a TV show was setup for her and what she does. She built a new career and a new life for her family at the prime of her life. There was a downside, as there always seems to be, but it wasn't all her fault like she was willing to admit. Her daughter had issues of her own, so did her husband. They needed to realize that too. The novel is a lot more interesting that how I put it out to be. It's definitely worth the money I spent for it and more. :) You can use this link to buy it at Amazon. I'm not an avid comic book reader. I tried to collect Spawn when I was in college but soon lost interest in it. Not very exciting for me, or maybe it was the cost. After seeing the Watchmen on the big screen, we bought the hardcover and I was amazed at how they were able to stay true to the original. It wasn't a cheap buy though, and it so far hasn't been followed by another series. 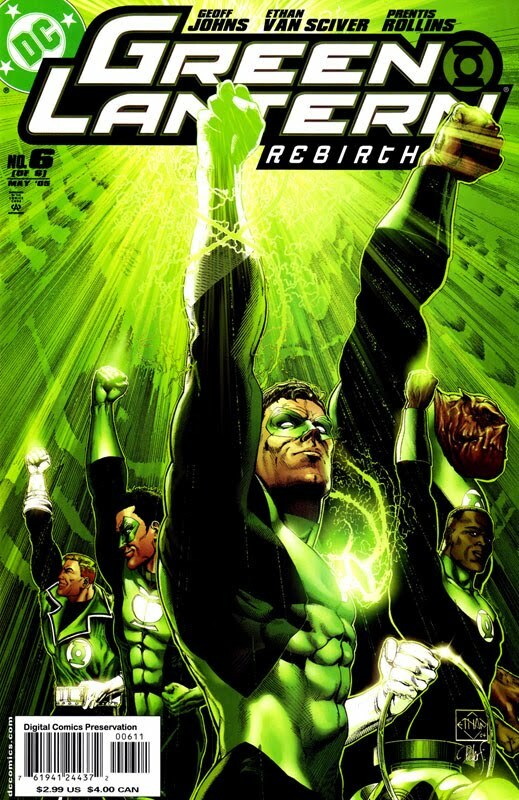 Last week, I had the chance to read Blackest Night , thanks to a colleague who has a collection of comic books. My boss has been borrowing his titles bit by bit and I saw this on the pile of the ones that were already being returned. I checked them out and since there were only nine sections for the event, I went ahead and borrowed them. It caught my interest, and now I want to read Green Lantern, and Sinestro Corps War. I think that I would appreciate and understand Blackest Night more if I actually read those. Of particular interest is the dynamics between Hal Jordan and Flash, and all those other super heroes. The origin (and purpose) of the different Corps is also something of interest to me.